We’re a fun social swimming group meeting every Sunday morning all year round for a swim at Balmoral. 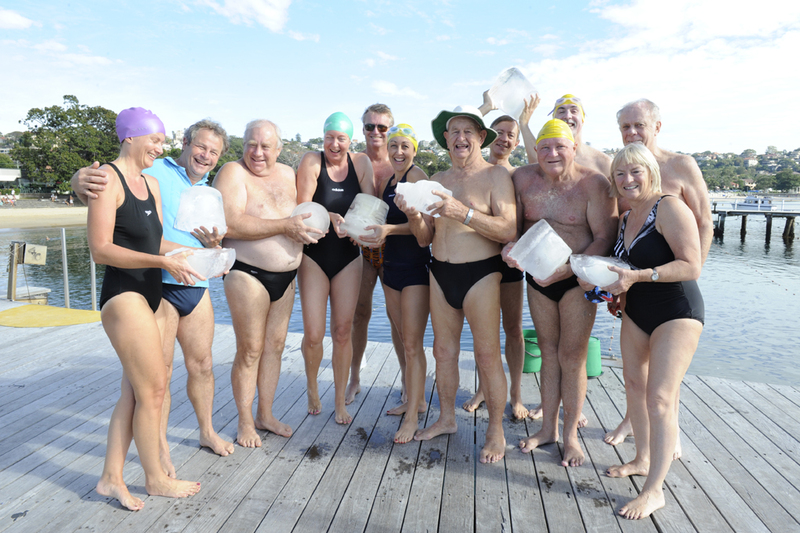 Balmoral Swimming members have been swimming at Balmoral Beach since 1922. We all like to get a good start to a Sunday, So come and join us, you can read the Sunday papers after with a good feeling knowing you had a nice swim to start the day. In Winter we have a 30m Ice breaker race followed by a relay, then back at the clubhouse for a “cup a soup or Coffee” as well as a hot shower. Every 2 months we have a sausage sizzle to get to know new members. Come and join us for a good start to a Sunday with a very friendly bunch of like minded people. We are located on the terrace between the Public Dining Room and the Balmoral beach Cafe. New Members are always welcome send an email or ring Ian on 0477 076 076 to join. Weekly swimming fun for only the price of one coffee a week! See our video slideshows for a taste of what Balmoral swimmers is all about!